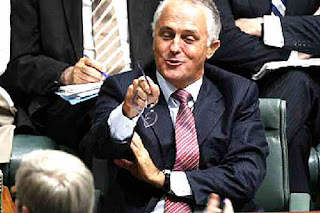 Adventure Australia Blog: Australian Poor Vote Right Wing - Why? Australian Poor Vote Right Wing - Why? 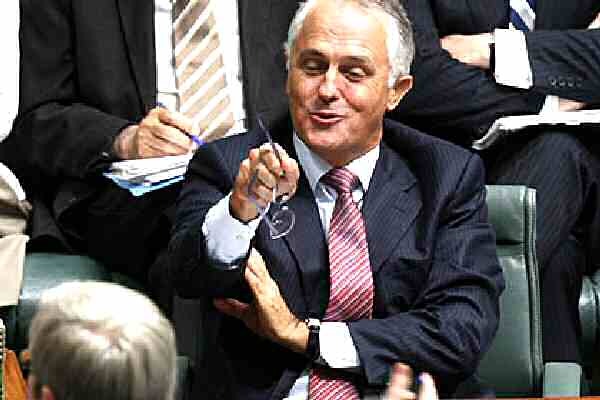 Politics: Malcolm Turnbull favors is own class. Malcom Turnbull is hitting at the lower working class and the poor - blaming them for their situation. Though Australia appears to be a relatively "level" society, this is not the case. There is the same inequality here as in other Western countries. Increasing the cost of university places hits poor families. His children have been spoon-fed from the honey jar all their lives. The Prime Minister does not know what poverty is. The arrogance of the man when he says the states will pay the full cost of public schools while the federal government will subsidize private schools. It is obvious who he really cares about - the well-off. Increasing job finding training for the long-term unemployed is treating the effect not the cause. Unless the unemployed get better work skills they will remain on the dole. This is not their fault. Where are the poor going to get the money to pay for TAFE training now the government is charging for it? There is a shortage of skilled workers. There is always a glut of unskilled people looking for jobs. They chase the few vacant places in the fixed market. Giving tax cuts to high earners was a real "kick in the guts" for the poor. It astounds me how the Australian public can vote a right-wing party into government when it does nothing for them. Tony Abbott would fit nicely into the British Conservative Party. He is an out and out Tory! He is not even a true Australian - born in London.